The Crain siblings having a chat. Shirley Jackson’s original horror novel The Haunting of Hill House from 1959 was a chilling exploration of one woman’s fight to retain her grip on reality as a haunted mansion chipped away at her sanity. From the looks of the first trailer for Netflix’s upcoming series based on the book, we’re about to be in for more of the same. More psychological thriller than horror, The Haunting of Hill House centers the Crain family who return to their childhood home only to find it occupied by a number of mysterious and potentially malevolent presences with some sort of connection to them. While the trailer makes it seem as if the Crain family is simply large and multigenerational, when you look at the series’ IMDB page, it becomes clear that the kids in the show might not actually be children at all, but ghostly manifestations of the adults’ childhood selves. Having a chat with your inner child is well and good, sure, but not when the conversation is about waking up in a morgue with one’s mouth sewn shut. 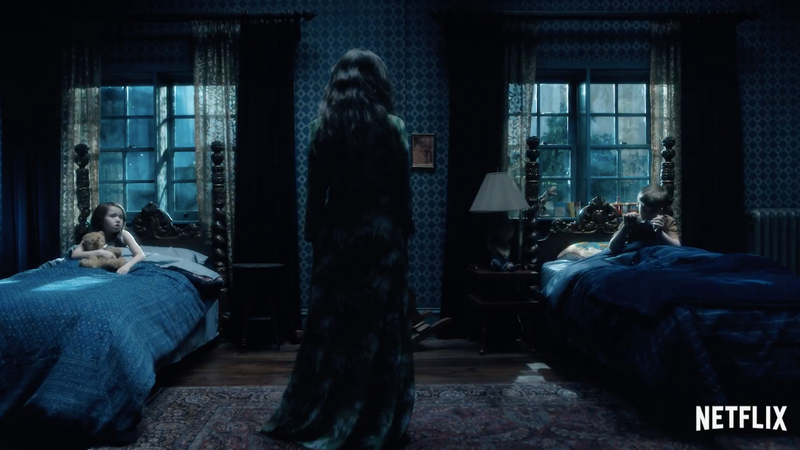 Suffice to say that when The Haunting of Hill House—directed by Mike Flanagan (Hush, Oculus)—hits Netflix on October 18, the Crains are going to be in need of more than a bit of family therapy.